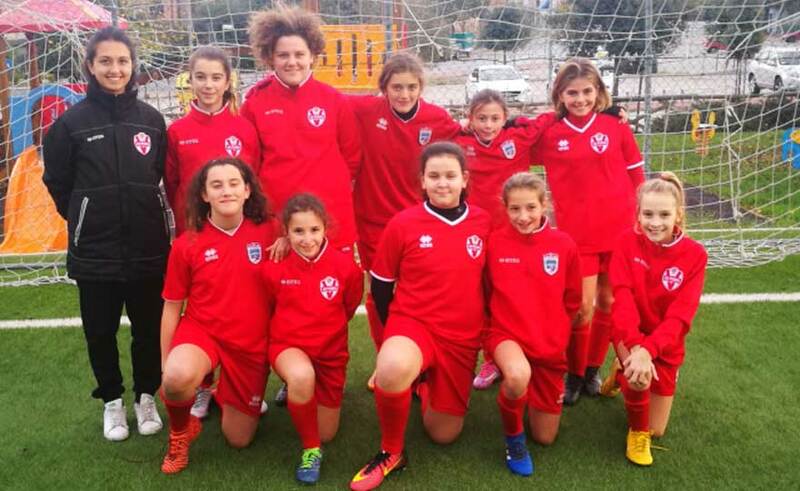 Vis Pesaro Women's football, also on the green line, the young athletes of the Under-aged UN 12 have reached the number of 18 registered, without loans. The team, born last year, together with Under 15 and first team, is facing its championship under the careful guidance of Martina Ciamaglia: "I'm very happy with the group that has come to create, although many girls have started this their adventure in the world of football. We started the championship with a defeat against Recanati and a victory against Jesina and I'm really proud of this, especially because you notice so much that they have fun and that's the key thing. We are improving a lot both technically and as a number and certainly they are giving us a huge hand to grow as a female movement. This is the rose of young young girls: Cumali Ada, Cardoni Sara, Mariotti Michela, Massanelli Alice, Del well Elena, Lucarelli Lucia, Del Monte Martina, Bartolucci Stefani, Serfilippi Veronica, Canestrari Valentina, Belloli Asia, Bianchi Erika, Bianchi Noemi, Martignetti Giada , Mazza Giulia, Ghiselli Iris, Carnaroli Giulia and Carnaroli Elisa. "The invitation to all the neophytes girls and not from the world of football - underlines Daniele Orazi - is to come and play with us, we are waiting". U12 performs two training sessions with male age groups and on Wednesday with 17.30 all together with Villa Fastiggi.